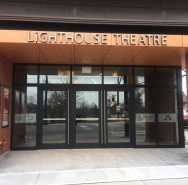 Treat yourself to the Lighthouse Festival Theatre Getaway package! Stay by the beautiful lakeside in Port Dover and enjoy t wo Lighthouse Festival Theatre tickets, overnight accommodations, breakfast for two at Five Blocks North, and a $60 Dinner Voucher for the Erie Beach Cove Room Restaurant! Based on double occupancy. Taxes and handling included. Not available on Opening Nights.